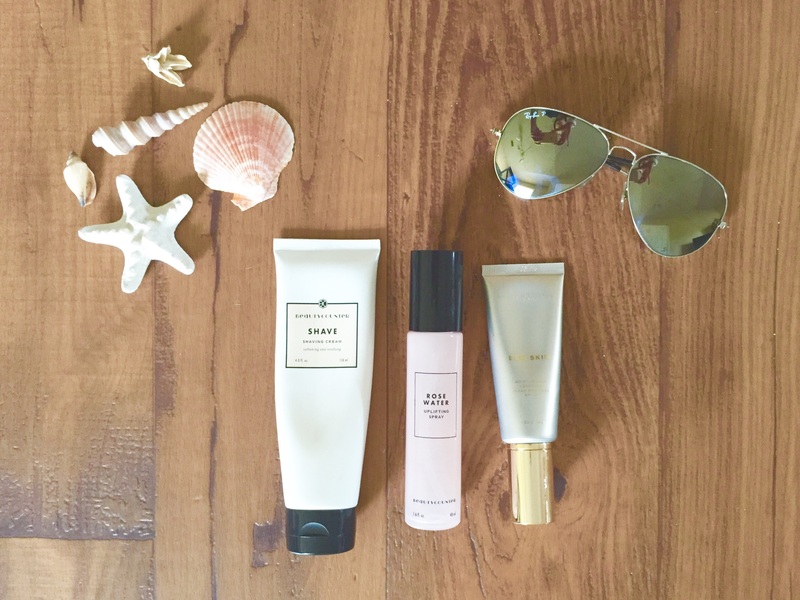 3 Essentials for Your Summer Beauty Regime | Lauren, Etc. 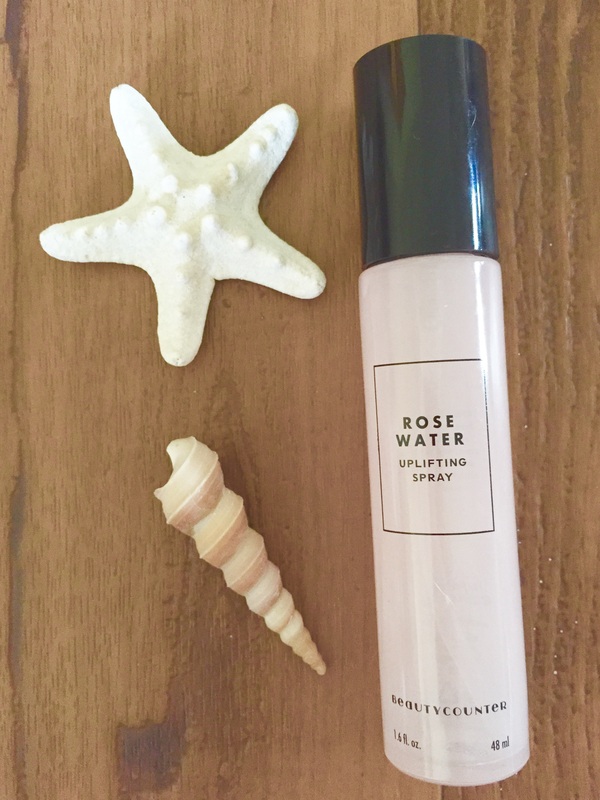 My oily/acne-prone skin does not need much moisturizer in the summer so I stick with Beautycounter Rose Water Uplifting Spray in the mornings and evenings as well as throughout the day to refresh my skin. This is the first product I put on after washing my face and the last product I apply after putting on makeup. Midday it works perfect paired with blotting paper to remove oil and add a subtle glow. Keeping my face lightly moisturized throughout the day is the key to keeping it blemish-free, and there is no mist that works better. 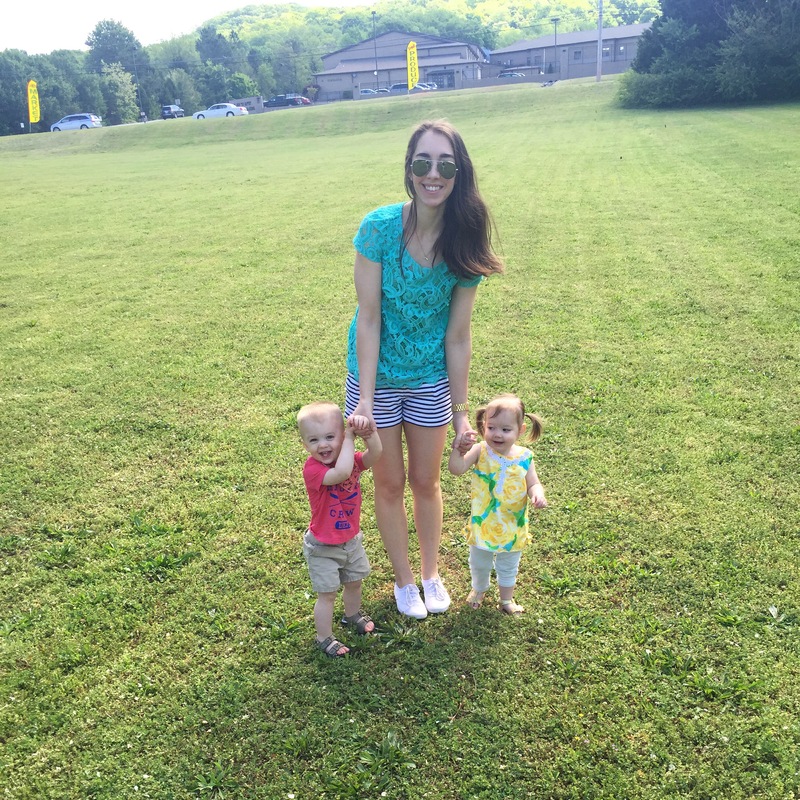 With a short and safe ingredient list which includes organic rose water and sodium hyaluronate (derived from wheat & bacteria fermentation), I even use this product to cool down the babies when we are out and about. If you are doing any plane travel, this mist is carry-on friendly and perfect for keeping your skin quenched in the dry cabin air. I wear shorts, skirts, or dresses every single day so keeping my legs smooth and moisturized is required. 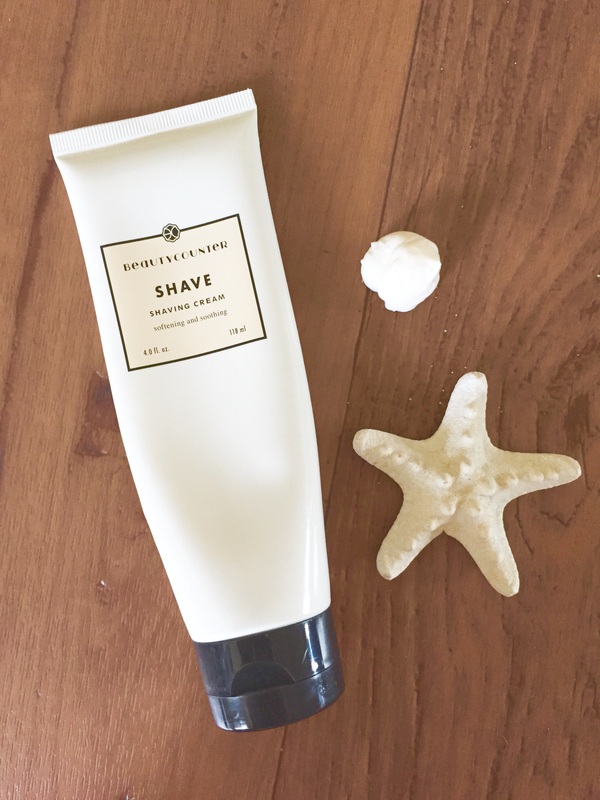 Beautycounter Shaving Cream meets both these needs thanks to hardworking ingredients which include shea butter, coconut oil, witch hazel, and lavender. 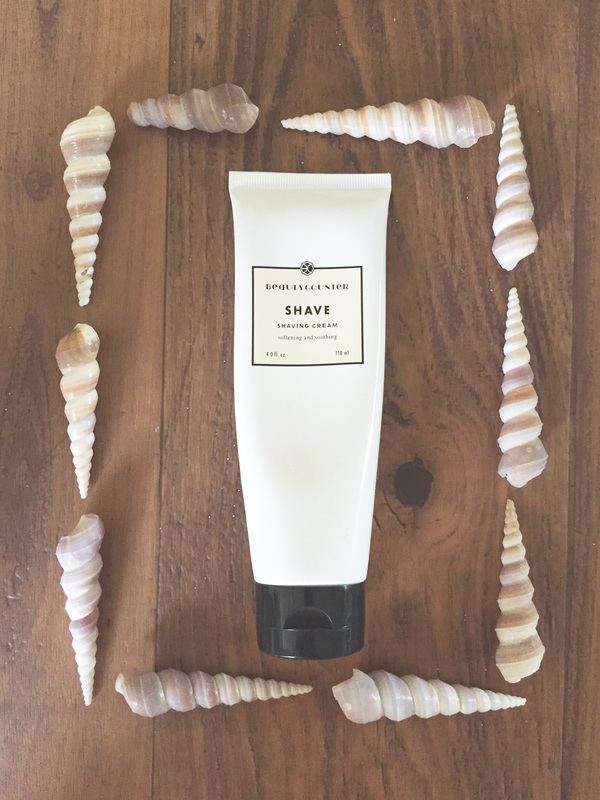 I quickly smooth on in the shower, shave (no nicks or cuts! ), rinse, and pat my legs dry. No need for moisturizer afterwards! If there is one beauty product I could recommend to everyone, it would be sunscreen. I wear it year-round, and I slather it on throughout the day in the summer, especially. So to cut my morning routine in half, I use Beautycounter Dew Skin Tinted Moisturizer SPF 20 which combines moisturizer, color, and SPF in one perfect pump. This tinted moisturizer does not play around. The first time I used it, I was blown away by how moisturizing it was without leaving my oily skin looking like a mirror. I rarely use powder with this product, and my skin exudes a natural glow all day long.With 14% zinc oxide (a higher percentage than some regular sunscreens), you know your skin is thoroughly protected. While black currant seed oil and vitamin C brighten skin and reduce dark spots, hyaluronic acid moisturizes and firms. I use shade 2 which matches my skin like it was made for me, evening out my skin tone for the perfect no makeup look. If you are not familiar with Beautycounter, I encourage you to visit my Beautycounter site and learn about the brand’s mission. 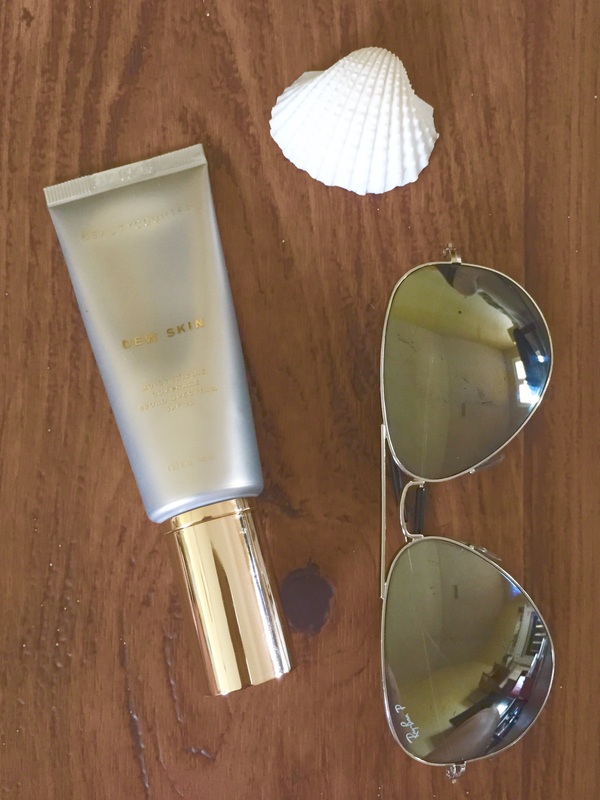 I would also love to hear about which beauty products have been essential for you this summer!